Attwood: Teach me, O Lord, Bairstow: Save us, O Lord, Browne: Magnificat in A, Bruckner: Locus iste, Byrd: Ave verum, Faure: Cantique de Jean Racine, Finzi: God is gone up, Harris: Behold, the tabernacle of God, Howells: Pray for the peace of Jerusalem, Parry: I was glad, Stainer: God so loved the world, Stanford: O for a closer walk with God, and Ye choirs of new Jerusalem, Tavener: Mother of God, and Wilton: Tantum ergo. 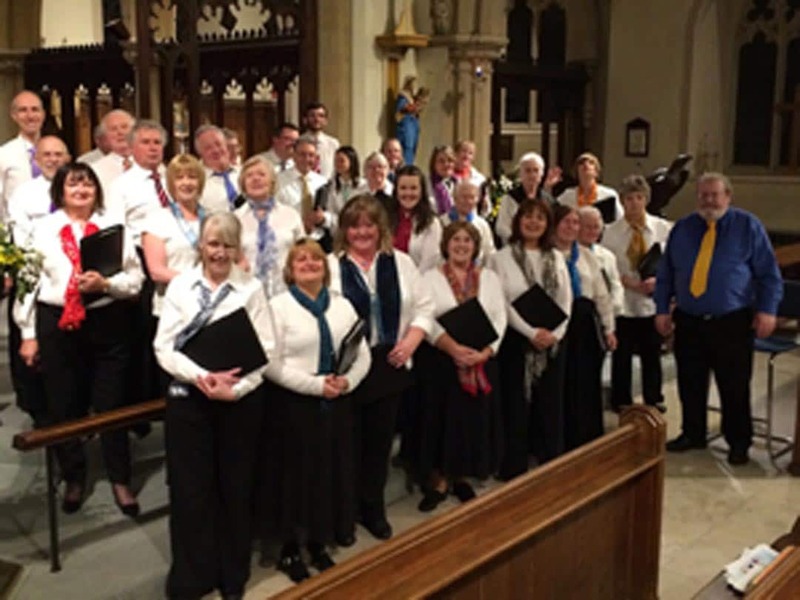 This Choir has sung in St Peter’s Basilica, Rome, Limerick Catholic Cathedral, Gloucester, Guildford, and Worcester Cathedrals, Southwell Minster, and widely in the UK, Germany, Italy and the Netherlands. Sutton Chorale will also be singing the following day (Sunday 21st October) at our 10.30 Solemn Mass. Don’t miss this musical treat. Entry is FREE, with a Retiring Collection for the Oratory Redevelopment Appeal. You may also DONATE On Line and Gift Aid your Donation using the button below.